Ever wonder what spurs and Idea for a book? For me it can come from anything usually i am sitting in my car at a light but every now and then its a news story or some picture I see online. That was the case for Kismet and Cocoa, a short story in the Sweet Christmas Kisses anthology from Decadent. I didn't read the story behind the picture until long after my own story was done I didn't want it to influence my story. But from this came my sweetest story to date. And the sweetest part is that the Anthology is currently free on Amazon until Christmas. 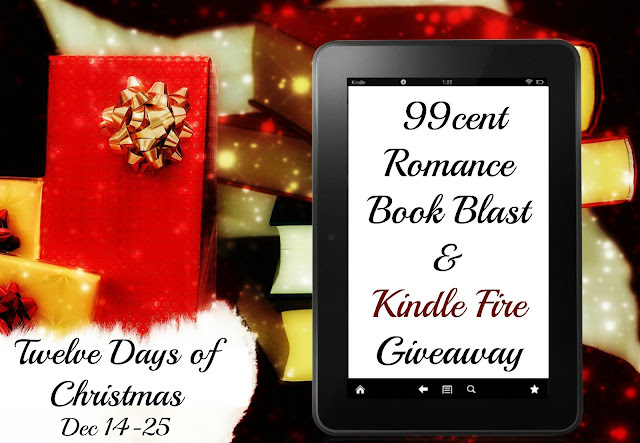 Twelve Days of Christmas 99cent Romance Book Blast & Kindle Fire Giveaway! & Kindle Fire + $25 Giveaway! Yes, that's right, from December 14th through to December 25th, Christmas Day, we have some gift giving to do! Just for the holidays, a group of authors got together and put their books on sale for 99 cents! And, cause 'tis the season of giving, one lucky giveaway entrant will win a Kindle Fire + $25 Amazon Gift Card to get them started! So, ladies and gents, click the link below to be swept off to the magical place where all these books are yours to grab and the giveaway is just waiting for you to enter! The Twins are Back but will a mate come between them?